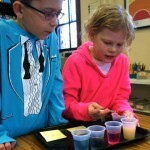 Will a Montessori Education Prepare My Child for the “Real World”? This is a common question I hear as I meet with prospective parents and take them on a tour through our community at The New School Montessori. 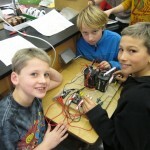 Multi-age classrooms and emphasis on time management prepare in “real world” ways. For those of you who are not familiar with Montessori education let me briefly explain that it is a philosophy and pedagogy based on the scientific research of Dr. Maria Montessori. 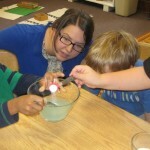 Children are grouped in multi-aged classrooms, where students are engaged in hands-on, self-paced, collaborative work. Multi-aged classrooms allow older students to be leaders and mentors while providing opportunities for younger students to work with older classmates on group projects. In addition, Montessori teachers do not stand in front of a class giving lectures while asking students to work on the same thing, at the same time, in the same way. Rather, they walk throughout the classroom working one-on-one with students or in small groups. At the core of the Montessori philosophy is the belief that all students have a natural desire to learn, explore, and joyfully work toward independence through knowledge and discipline. In any “real world” job, is everyone the same age? Are workers all sitting at their desks working on the same thing at the same time? Do workers often need to access memorized facts in a timed setting? Of course not. In a “real world” job, one is expected to be able to work with people at different levels of experience, work well independently and in a group, set up work, concentrate on it, keep it organized, complete it, and put it away. Workers need to try things to see if they work and then learn from their mistakes. 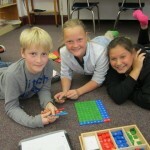 They need to be able to problem solve and to communicate effectively. Sims didn’t mention other famous Montessori innovators like Julia Child, Katherine Graham (Pulitzer Prize winning author), Gabriel Garcia Marquez (winner of the Nobel Prize for literature), Yo-Yo Ma (cellist and winner of 15 Grammy Awards), George Clooney (Academy Award winning actor), Helen Keller (who is considered one of the most widely admired people of the 20th Century), and the list goes on. 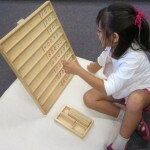 What about Montessori at a high school level? 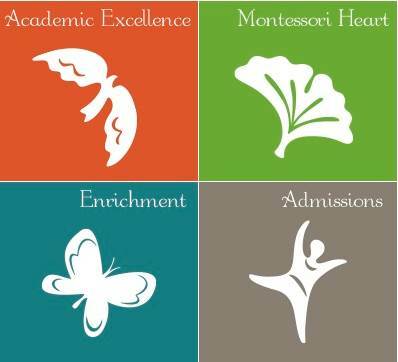 Clark Montessori (a Cincinnati public Montessori school) provided these results of their 88 graduates in 2010: 100% graduation rate. 100% of the graduates went to college. 33% were first generation in their families to attend college, and 33% came from families in need of free or reduced lunches. build a relationship between themselves and their environment. remain curious and a life long learner. be more interested in the joy of discovery than the value of a grade or paycheck. reflect and know how to celebrate their individuality while at the same time knowing how to sacrifice their own desires for the benefit of the whole. These values have deep roots in Montessori education, and it just so happens they are also what prepare us for how to live fully in the “real world” of life.